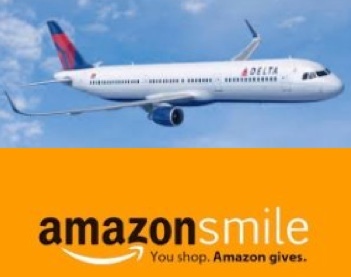 BIZAA » Delta SkyBonus & Amazon Smile Donate to BIZAA! 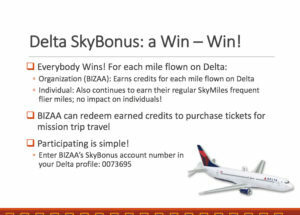 Delta SkyBonus Donates to BIZAA! 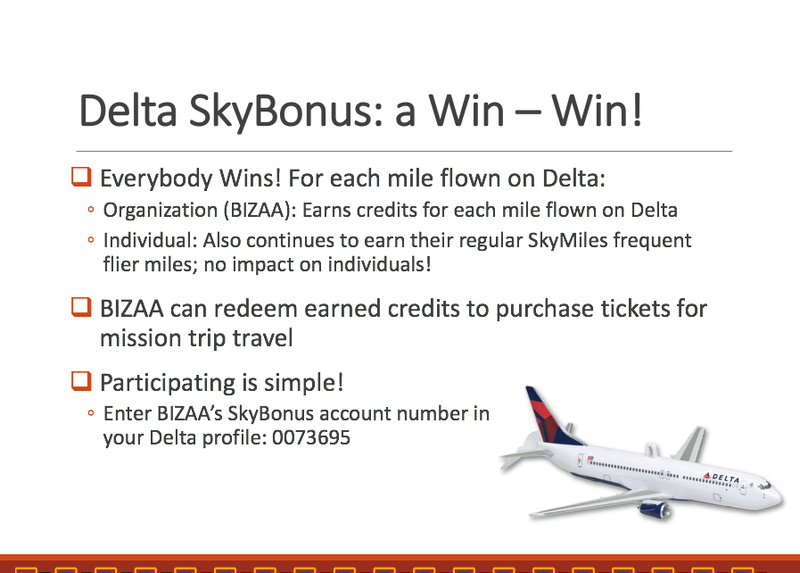 BIZAA earns credits for each mile flown on Delta. Individuals also continue to earn their regular SkyMiles frequent flier miles, so there is no negative impact on the individual! BIZAA can redeem earned credits to purchase tickets for mission trip travel. Amazon will donate 0.5% of your purchase price to BIZAA by shopping at smile.amazon.com. To designate BIZAA as the nonprofit you would like to give to, go into Your Account, click on Your Amazon Smile and add Basic Institute for Zonal African Advancement as your charity of choice. Then shop via smile.amazon.com and bookmark it for easy access. Tens of millions of products on AmazonSmile are eligible for donations. Look for “Eligible for AmazonSmile donation” on their product detail page.